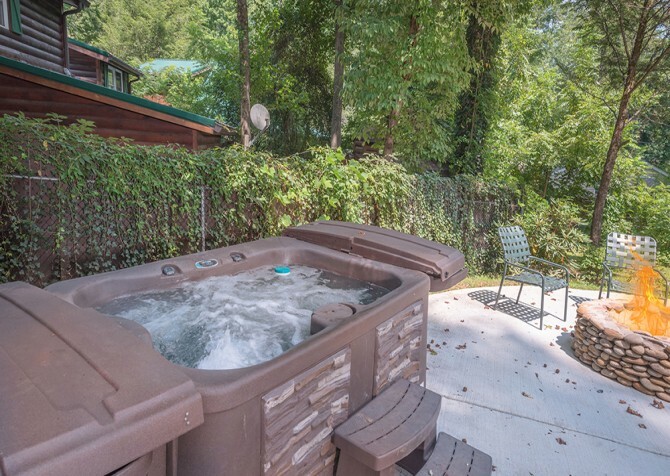 Plan your escape to the Smoky Mountain hills at Mountain Splendor. This secluded cabin with gorgeous mountain views features 3 bedrooms and 3 bathrooms, which is plenty of space for 10 guests to enjoy a comfortable stay. Invite your family or a small group of friends to admire the traditional log cabin look of this cabin with its wood exterior, green roof, and towering stacked-stone chimney. And plan to visit together on Mountain Splendor’s back deck, where you’ll enjoy impressive mountain views no matter when you plan your visit. 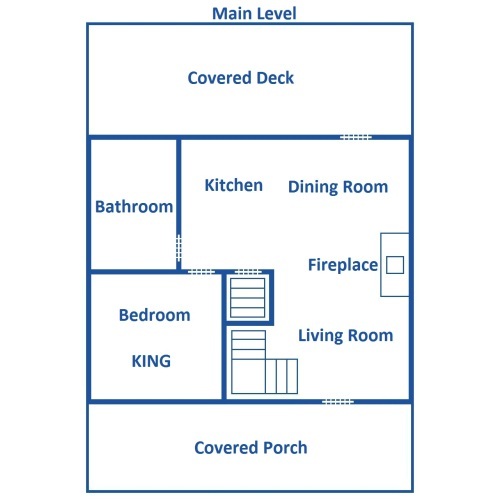 Also on the covered deck are a variety of patio furniture options, an outdoor ceiling fan, and an outdoor hot tub! Inside Mountain Splendor, you can look forward to cozy evenings in the spacious living room, holiday meals using your fully equipped kitchen, and hours of indoor fun with a rec room. 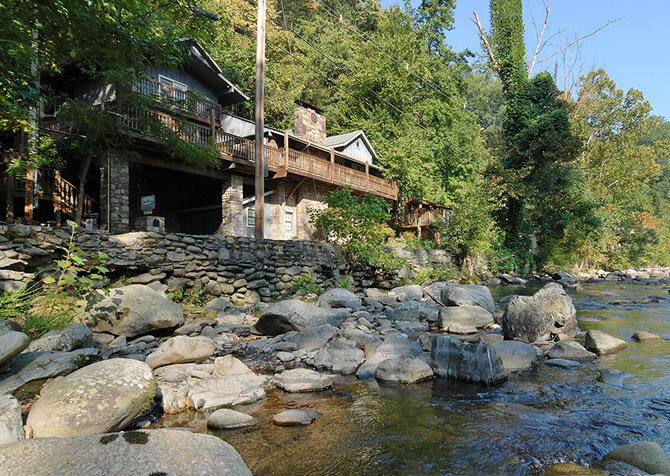 About 14 miles from downtown Pigeon Forge, Mountain Splendor is the small group cabin to book when you’re ready to get away from the noise and immerse yourself in the serenity of the Smokies. If you’ve never been to Pigeon Forge, you’ll have to make time during your stay at Mountain Splendor to visit all that downtown has to offer. From live shows to one-of-a-kind shops to Southern-style restaurants, this Smoky Mountain city has it all. But when you’re ready to unwind after your long days of adventuring downtown, you’ll appreciate the first room you come to as you open the front door of Mountain Splendor: the cozy and spacious living room! Fix a glass of sweet tea and relax on the full-size sofa or the leather chair. Traveling with a little one? Rock them to sleep in the rocking chair. The Mountain Splendor living room also comes equipped with a huge flatscreen TV and DVD player, so turn on your favorite shows or movies before calling it a day. Finally, the centerpiece of this room is the large, stacked-stone (gas) fireplace finished with mountain décor. Never fear a wintertime escape to the Smokies with the cozy amenities inside Mountain Splendor! No home-away-from-home in the Smokies is complete without a fully equipped kitchen, and Mountain Splendor has everything you’re looking for in its U-shaped kitchen complete with a breakfast bar. Enjoy all your major appliances in black—these include a full-size refrigerator, an oven and electric stove, an over-the-range microwave, and a dishwasher. This cabin also provides countertop essentials like a coffeemaker and toaster. Breakfast, lunch, and dinner are easy when you stay at a cabin like Mountain Splendor. You can even plan for a Fourth of July picnic using the charcoal grill and outdoor picnic table before traveling to nearby Gatlinburg for the annual Midnight Parade. Along with all your must-haves, Mountain Splendor’s kitchen provides a little something extra—a ceiling fan! You’re sure to stay cool and comfortable while you cook inside this cabin. To accompany the breakfast bar, Mountain Splendor provides a sturdy 4-piece log-style dining table. With these two spaces, you’ll easily sit 8 guests at the table for in-cabin meals. For groups of more than 8, take advantage of the open-concept layout of Mountain Splendor by relaxing with your plate in the living room. Or if it’s a nice day, take your dinner to the outdoor picnic table located beside the hot tub. You’ll have plenty of options inside Mountain Splendor for those nights you decide to skip the drive to Pigeon Forge and dine in. But you should also plan to check out at least a few Pigeon Forge restaurants during your stay. You’ll find something to satisfy every craving—from seafood to sandwich platters to steaks! Fun in Pigeon Forge isn’t limited to the downtown arcades, mini golf courses, and go-kart tracks on the Parkway. For hours of fun without leaving your driveway, head downstairs to the rec room inside Mountain Splendor. 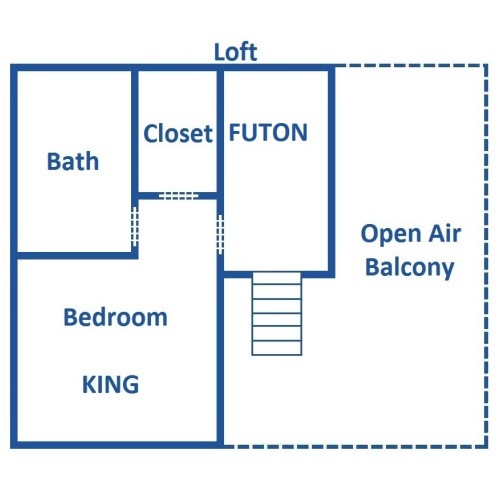 With a pool table and foosball table, you can plan for family tournaments or send the kids downstairs while the grown-ups relax with a glass of wine on the porch. The rec room also offers one of 2 futons found inside Mountain Splendor, which is ideal for extra guests or just a cozy place to crash for an afternoon nap. When you’re ready for some fresh air, simply step out onto the outdoor patio accessed by the rec room. This spacious hangout also provides a flatscreen TV, ceiling fan, and an area rug where you can spread out cards or board games. The 3 bedrooms inside Mountain Splendor are spread out on 3 different floors, providing plenty of privacy throughout your Pigeon Forge stay. All 3 bedrooms come with king-size beds, flatscreen TVs, and their own bathrooms. You’ll also find homey additions like nightstands, reading lamps, bureaus, and windows that overlook the beautiful Smoky Mountains. 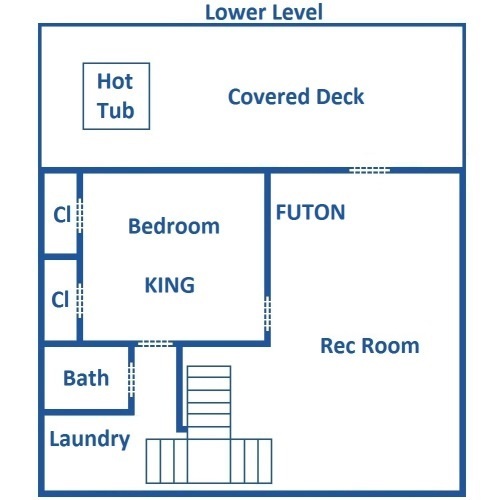 Along with the 3 bedrooms, Mountain Splendor provides 2 futons—one in the loft and one in the lower rec space. Total, this cabin will comfortably accommodate up to 10 guests, making it ideal for one- to two-family vacations or a small group retreat. As a bonus, the bedroom in the loft also features a jetted garden tub next to a panel of windows that overlooks the Smokies—use this to soothe sore muscles after horseback riding, cycling, or hiking in the national park. From the covered front porch with a swing to the back deck with impressive mountain views, the outdoor spaces of Mountain Splendor do not disappoint. As you gaze out over the Smoky Mountains, rest on a second swinging bench found on the covered back deck. You’ll also find a stationary bench and an Adirondack chair with a foot rest. 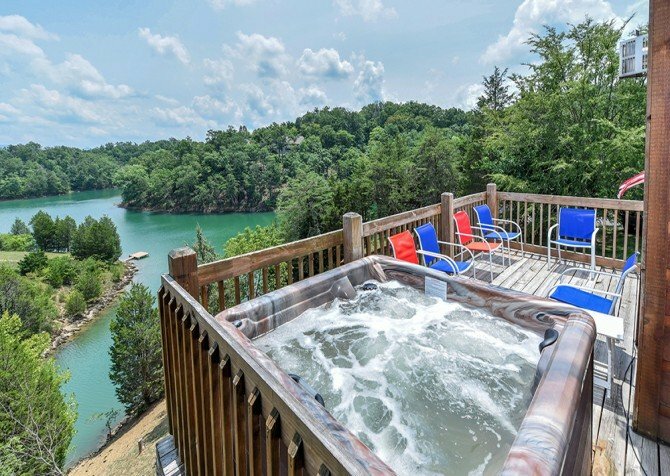 Change into your bathing suit before visiting the bottom level of Mountain Splendor, where you’ll find this cabin’s outdoor hot tub. You’ll also find the cabin’s outdoor picnic table, which is perfect for enjoying juicy steaks and burgers fresh off the charcoal grill. Whatever you do, just soak in this cabin’s peaceful, secluded atmosphere and impressive Smoky Mountain views. 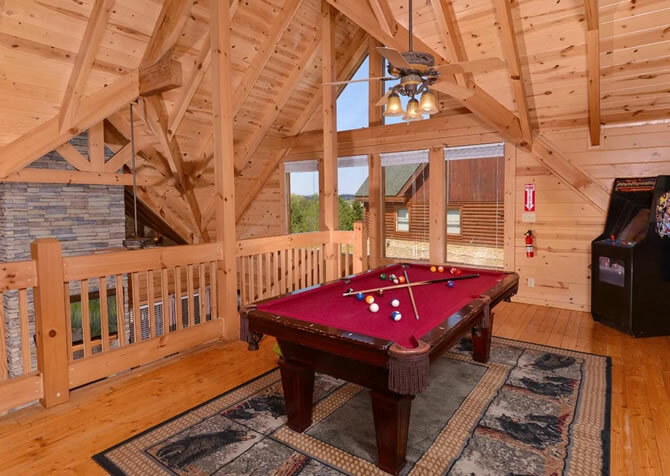 At Cabins for YOU, we want all of our Smoky Mountain cabins to have the comforts of home, including cozy lounge spaces, fully equipped kitchens, and private dining tables. Another bonus feature of Mountain Splendor is access to a washer and dryer. So leave those extra clothes behind and stay on top of laundry during your Pigeon Forge stay! This cabin also provides access to a VCR player (along with a DVD player). Plan to pack all your favorites for movie night during your stay at Mountain Splendor. With its secluded location in the Smoky Mountain hills, Mountain Splendor provides stellar views and a peaceful atmosphere. And when you want to get away from the cabin for a bit, head downtown to experience the fun of the city. From miniature golf and arcades to wineries and top-rated theme parks, Pigeon Forge and neighboring Gatlinburg have it all. Enjoy spectacular views with an adventurous edge at Legacy Mountain Ziplines, where you’ll soar over the Smokies at thrilling speeds! If you love roller coasters, live music, Southern food, and all things Dolly Parton, you have to visit the only theme park of the Smokies, Dollywood! You can hike in the Smoky Mountains. Or you can hike with a llama! Take the family for a unique adventure with Smoky Mountain Llama Treks. "Finding the cabin seemed like it took forever but when we did and then left out it wasn't as far as we thought initially. It was just unfamiliar territory. It was beautiful and we cannot wait to go back!!" Thank you so much for the kind review! We are so glad you got used to the surroundings quickly, and we look forward to your future Smoky Mountain cabin stays! "This cabin was perfect for a 3 couple getaway. Each couple had their own level to sleep on with a King size bed and their own bathroom. The back deck was a wonderful gathering place. This cabin is a good 25-30 minutes away from town so make sure you want to be that far away. We made sure we stayed out until we were ready to come in for the day. No big deal. There is not great phone reception up there so be careful when traveling. The last road sign is just a board on a post so try not to arrive after dark or you will miss it and you aren't able to call for help. We had a small issue with the water but it was resolved effectively and efficiently. The staff are all super friendly and easy to work with. I am already working on my trip for next year!" Thank you for sharing this great review with us. We are glad the deck was perfect for your group and that Mountain Splendor held up to its name! Thank you again for booking with Cabins for YOU and we are thrilled to serve you again! "The setup of this cabin was perfect for 3 couples with one bedroom on each level. The hot tub and the pool table were also a big hit for my group. This cabin did not disappoint! 10/10 recommend!" Spectacular Shows in the Smokies!